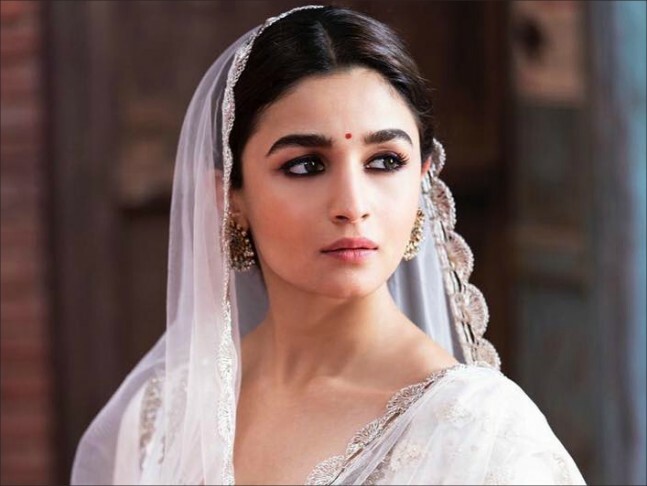 Madhuri Dixit enjoyed working with Alia Bhatt in Karan Johar’s ambitious drama Kalank and said that she has wonderful traits and is a brilliant actress. 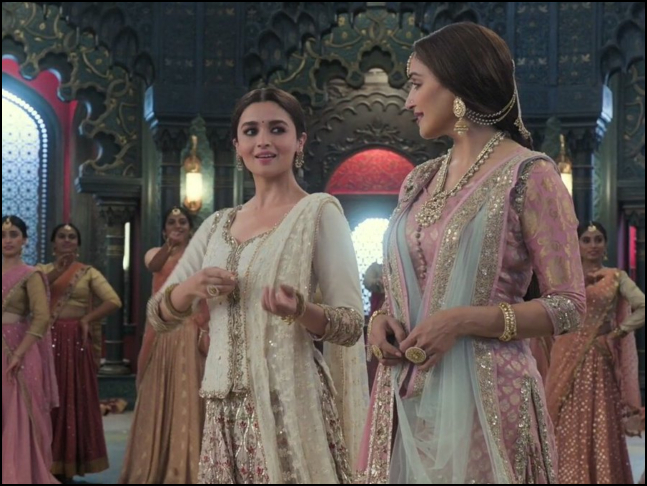 In Abhishek Varman’s Kalank, Alia stars as Roop while Madhuri has been cast as Bahaar Begum – the teaser of the film released last week while the first song Ghar More Pardesiya depicted Roop performing Kathak in Bahaar Begum’s dance class. It was mesmerizing to see Alia and Madhuri in the same frame. “It was wonderful to work with Alia. She has amazing energy; she reminds me so much of myself. She’s so professional, always on time, doing her job well and just wants to finish and go home. Alia comes with absolutely no baggage and that’s a wonderful trait,” Madhuri told a leading daily. Moreover, Madhuri also said that the films that she opts for are brilliant as well. “What a brilliant actress she is! I don’t think we have seen someone as terrific as her in a long time. The choices she’s making are so powerful and meaningful. Alia has definitely changed the whole ball game,” she added. Alia, meanwhile, added that she was extremely nervous while filming Ghar More Pardesiya but Madhuri supported her immensely. “I was a nervous wreck around her while we were filming the song. But she was extremely supportive. She didn’t do it because she felt that she needed to, I could sense that she really wanted to help. Madhuri ma’am is a teacher, she has her own dance app, which I have used myself. I could sense that she was aware of the difficulties I was having, without me having to voice them. That support and validation from her made me joyful. Even if I had to give another take, I’d still be happy because I had got my award when she said I did it wonderfully,” Alia told the daily. Kalank co-stars Varun Dhawan, Sonakshi Sinha, Sanjay Dutt and Aditya Roy Kapur. The film has been co-produced by Karan Johar under his banner Dharma Productions and is scheduled to release on April 17.